Age Alliance Wales (AAW) was set up in 2003 and is funded by the Welsh Government. 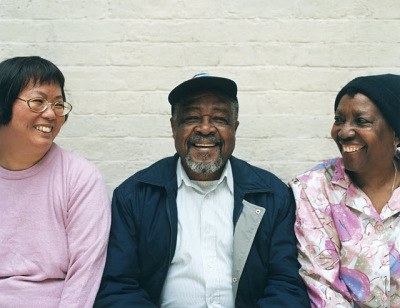 It is a powerful alliance of 24 national voluntary organisations committed to working together to develop the legislative, policy and resource frameworks that will improve the lives of older people in Wales. Collectively AAW member organisations possess extensive service development and service delivery knowledge in a range of policy areas. Most organisations also act at a strategic as well as an operational level and many are membership based. HAVE YOUR SAY - COMPLETE OUR SURVEYS! Age Alliance Wales is in the process of gathering evidence regarding social care for people aged 50+ in Wales. Such care may include help with washing and going to the toilet, meal preparation and respite for those caring for loved ones. We’re interested in all forms of care delivered at home, the homes of carers, or in other community venues. Since 2016, local authorities in Wales have been governed by the Social Services and Well-being (Wales) Act, that says older people and their carers that need support should have their care needs assessed and then have a package of care put in place that meet these assessed needs, regardless of peoples’ ability to pay. Each version should take no more than ten to fifteen minutes to complete, so please consider doing so if you have the opportunity. Thanks!